Home > Restaurants > Savour a 3 Course A La Carte Dinner for Two for Only €75 (REAL VALUE €132)! in Roly’s Bistro, Ballsbridge! Groups welcome. Savour a 3 Course A La Carte Dinner for Two for Only €75 (REAL VALUE €132)! in Roly’s Bistro, Ballsbridge! Groups welcome. 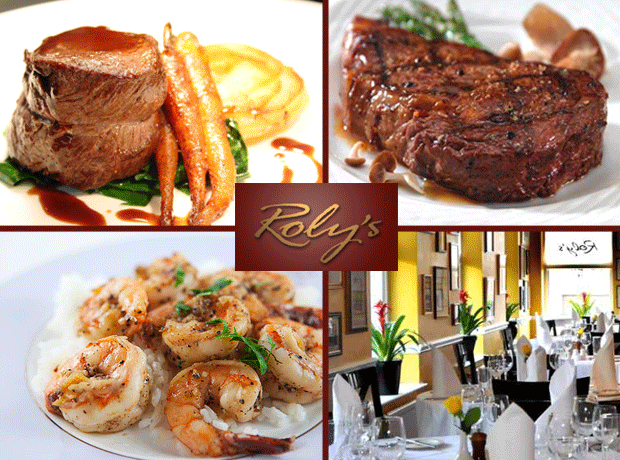 Roly's Bistro has been one of the most popular Dublin restaurants since it opened in 1992. Our philosophy in our restaurant is seasonal local ingredients, classic dishes and a vibrant but welcoming ambience.Our team are dedicated to quality and a friendly service, and can offer advice on an extensive wine list to accompany your meal. We have received many awards including National Restaurant of the Year, which is a testament to consistently excellent standards. We look forward to welcoming you and showing you why Roly's is one of the best places to eat and one of the most popular restaurants in Dublin. Use more than one voucher at the same time- ideal for group bookings!